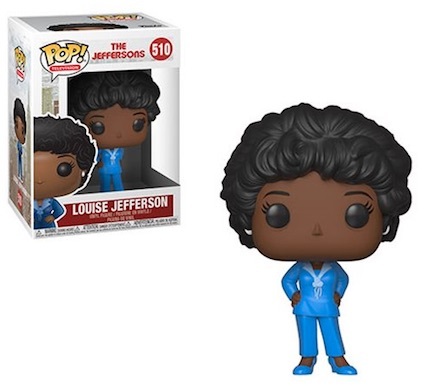 Product DetailsThey're still movin' on up, but this time it's to vinyl immortality via Funko Pop The Jeffersons. Highlighting the stars of the 11-season sitcom, the Pop! Television set features both George and Louise Jefferson. 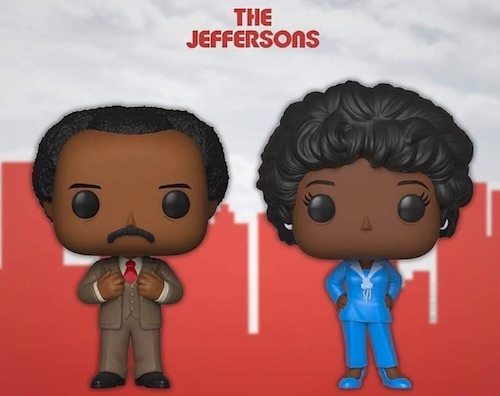 Funko Pop The Jeffersons starts with one of the most famous couples of the 1970s and '80s. With a thick mustache and receding hairline, George Jefferson, played by Sherman Hemsley, still looks dapper in his three-piece suit. Shop The Jeffersons DVDs on Amazon. His wife, Weezie, a.k.a. Louise Jefferson, played by Isabel Sanford, is shown in a sassy pose with styled hair. Her all-blue ensemble is matched by her blue heels. 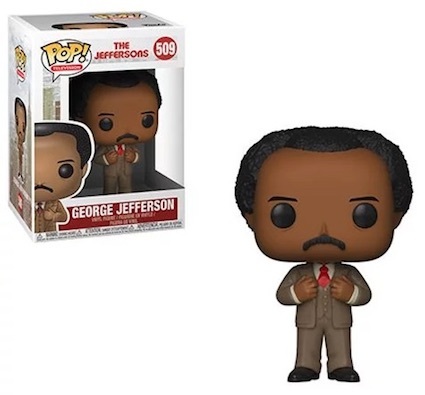 While Funko Pop The Jeffersons figures can be collected individually, there is also an exclusive two-pack issued at Target locations. Normally the exclusives offer variant editions, but it appears in this case that the combo pack figures are the same as the main options for George and Louise. Be sure to check back for any additional Funko Pop The Jeffersons figures. And let us know in the comments if you spot any new choices. Funko POP! 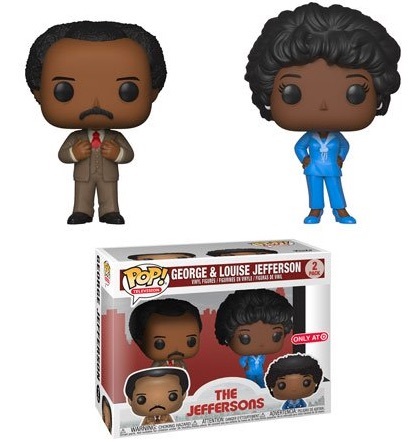 The Jeffersons: George & Louise - Target Exclusive 2 pack Read! Funko Pop! - Louise Jefferson #510 - Television, The Jeffersons! FUNKO POP! TV George & Louise 2 Pack The Jeffersons Only At Target Exclusive!! !